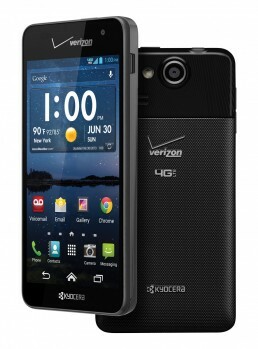 Verizon Wireless today announced the Kyocera Hydro Elite, a waterproof Android phone. The Elite is the highest-end model of Kyocera's growing Hydro series, sporting a 4.3-inch 720p HD display, 8-megapixel camera, front camera, NFC, Qi wireless charging, 1.5 GHz dual-core processor, DLNA, global roaming, and a memory card slot. Verizon hasn't carried a Kyocera phone since 2007. The relatively new Hydro series has been a major success for Kyocera. Sprint, Boost, Cricket, and U.S. Cellular all carry at least one Hydro. The Elite is rated for immersion in up to 3.28 feet of water for up to 30 minutes (IPX7), plus blowing rain (IPX5). The Elite is a 4G LTE phone and also includes Kyocera's exclusive Smart Sonic Receiver technology for better sound in noisy environments. It has 16 GB of embedded memory and 1.5 GB of RAM. It runs Android 4.1 plus Kyocera software for an easy Starter mode, and an Eco mode for saving battery. The Hydro Elite will be available from Verizon this Thursday, August 29th, for $150 with contract. A $50 mail-in rebate brings the cost down to $100. Documents seen on the Federal Communications Commission web site provide a few details about the Kyocera C6750, a monoblock device that supports the spectrum bands used by Verizon Wireless. According to the FCC, the C6750 is a world phone, too, as it supports GSM/WCDMA 850/1900 in addition to Verizon's CDMA and LTE frequencies. The FCC also confirms the presence of Wi-Fi and Bluetooth. Photos of the device show a slab-style smartphone that includes a camera with flash and a microUSB port. 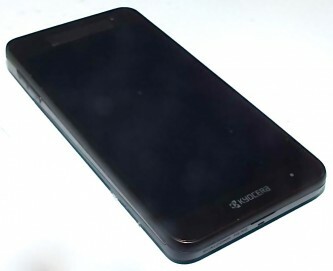 The draft user manual suggests that the C6750 is water resistant, a feature that Kyocera has added to a handful of its smartphones this year under the "Hydro" brand. Some of the internal photos clearly show gaskets, which would help prevent water intrusion. The FCC did not confirm what operating system the C6750 runs, but referred to it s a "PDA phone." Neither Verizon nor Kyocera have announced the C6750.